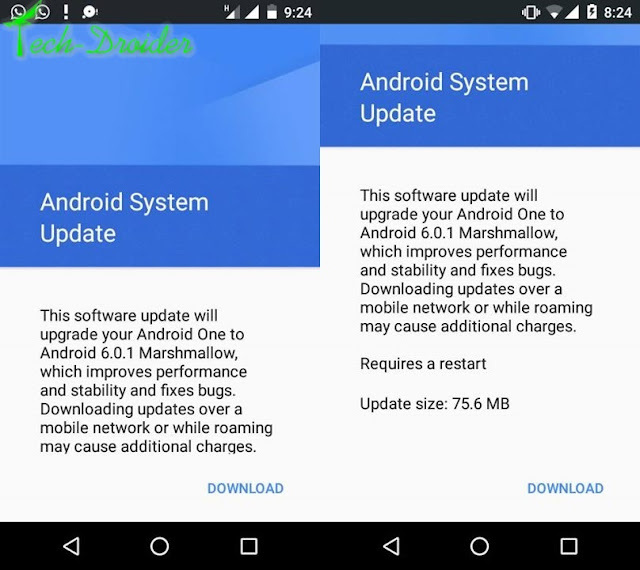 Recently We posted that Android one ( Micromax Canvas A1 , Spice Dream Uno and Karbonn Sparkle V ) just started getting Android 6.0.1 Marshmallow update in India . Step 1. Download the ota zip from below . Step 3. Select apply update from sdcard . Step 4. Choose Marshmallow 6.0.1 zip .